We make Bow Roll (Expander Rollers) having a very wide range of dimensions and suitable for an equally wide range of applications and web materials. They are supplied with mounting brackets, which could be either wall mounting or foot mounting. 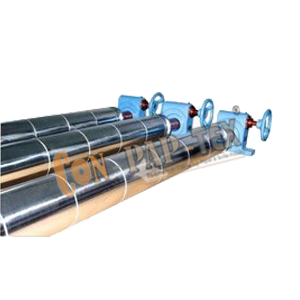 We also the manufacturer of Metal Bow Expander Rollers, Metal Expander Rolls, Rubber Roller having a very wide range of dimensions and suitable for an equally wide range of applications and web materials. Bow Roll are known as Banana Rolls, Spreader Rolls, Curve rubber expander, useful for removing wrinkles, slack edges, spreading and slit separation. Most of the Expander Rolls are driven by web tension itself without any extra drive. Used in Textile processing machines, Plastic converting machines, Paper Industries, in manufacturing, processing, printing, laminating, coating, Batching, Winding and Re-Winding.